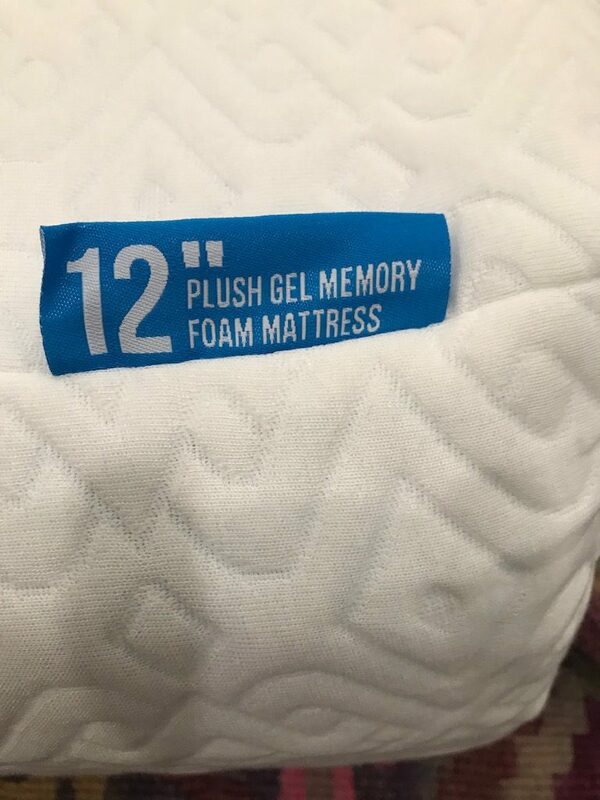 This Lucid 12’ Plush Gel Memory Foam Mattress Review was completed by the MattressJunkie.com team recently. 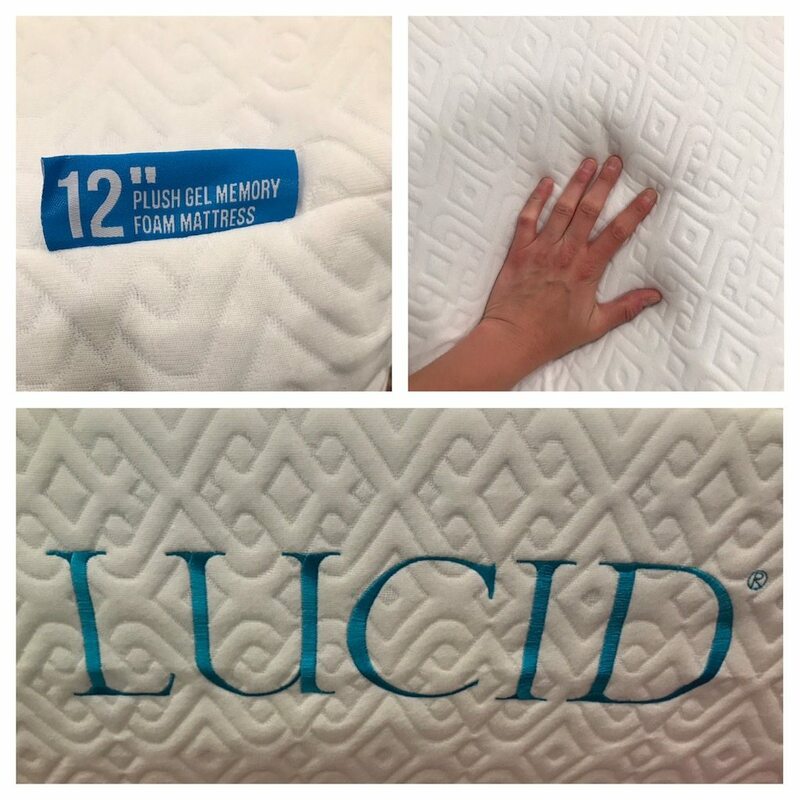 Lucid sent over a queen, 12’ Plush Gel Memory Foam Mattress to be reviewed by the MattressJunkie.com team. 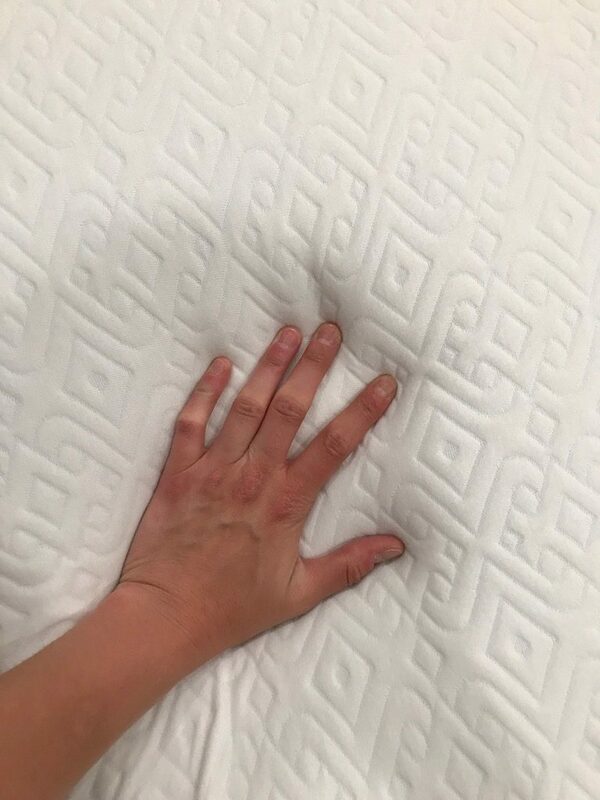 This mattress is listed for $575 on Lucid’s website. Lucid mattresses are a great value, some priced as low as $175 (twin). 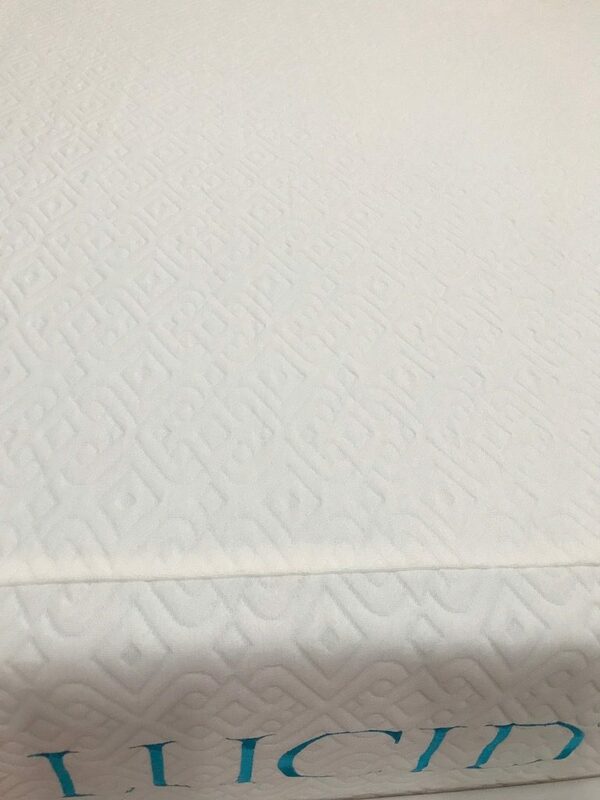 I was very pleased with how nice the Lucid mattress slept after doing an extensive review. For such an excellent price point, the Lucid definitely exceeded expectations. 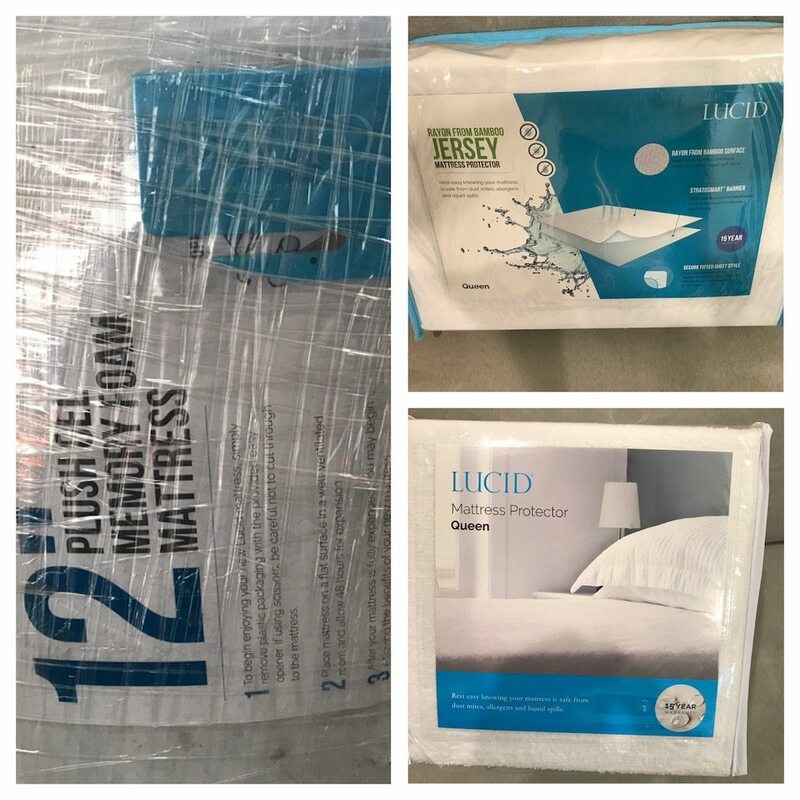 Check out how the Lucid mattress stacked up in our review process. The Lucid mattress cover is made of a soft, Tencel blend fabric. The cover is stretchy and very light. Since breathability is a big factor in keeping memory foam mattresses cool, the Lucid mattress starts with the cover. As you can see from the photos, the cover is very light and airy. The Lucid mattress is made up of 3 layers. The first layer is 3 inches of ventilated gel memory foam. This top layer of cooling gel beads infused into an open cell memory foam helps prevent heat collection and dissipates body heat. The middle, 1 inch layer, is bamboo charcoal ventilated memory foam. The 3rd and final layer is 8 inches of support. This layer is made up of high density base foam and offers a great level of support. The 3 layers together provide the sleeper with a comfortable and cool night’s rest. Lucid is a medium feel with a great balance of softness and support. The memory foam really contours nicely so you sleep very comfortably while never feeling stuck or hot. The high density base foam does a great job of supporting your whole body so at no point did I ever feel pressure. What Sleep Position Works Best with The 12’ Plush Gel Memory Foam Mattress? The Lucid mattress works great with all sleep positions. The high quality, four pound memory foam offers conforming comfort for all any sleep style. How is the Edge Support on the Lucid Mattress? Whether you sit on the edge of the bed or sleep near the edge, memory foam mattresses don’t always have the greatest edge support. Lucid’s edge support was sufficient for my liking. I have seen some mattresses cave in on the ends with no edge support. 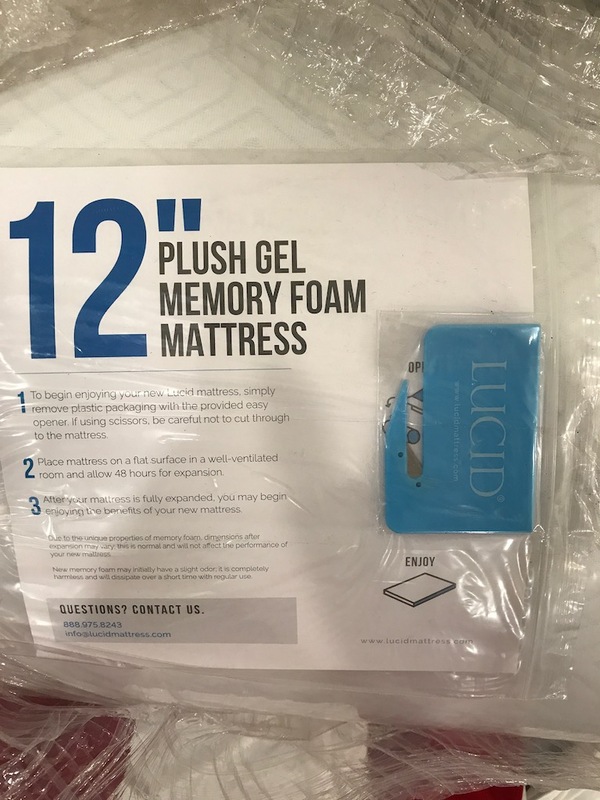 Lucid’s edge support was standard for a memory foam mattress. 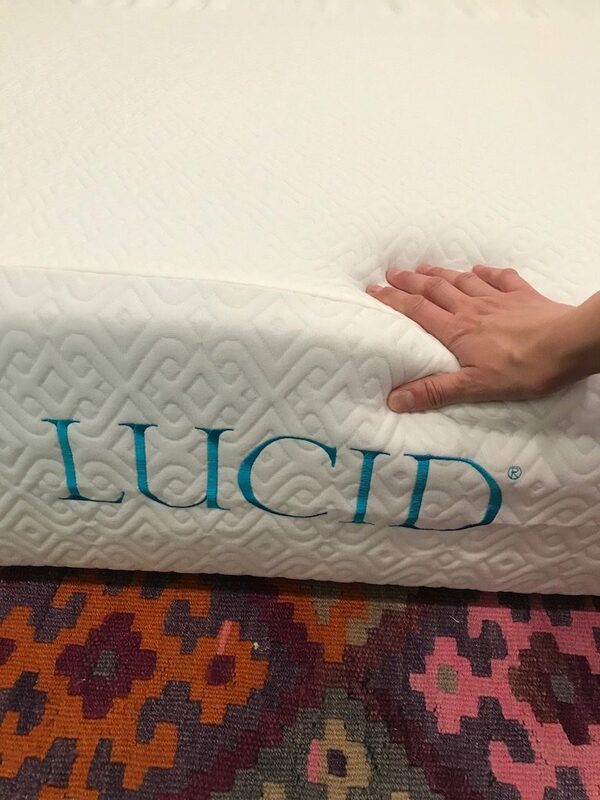 What type of base should I place my Lucid Mattress on? We reviewed the Lucid mattress on the ground. Lucid recommends sleeping any firm, flat surface such as a box spring, platform bed, or floor. Lucid memory foam mattresses are also adjustable frame friendly. 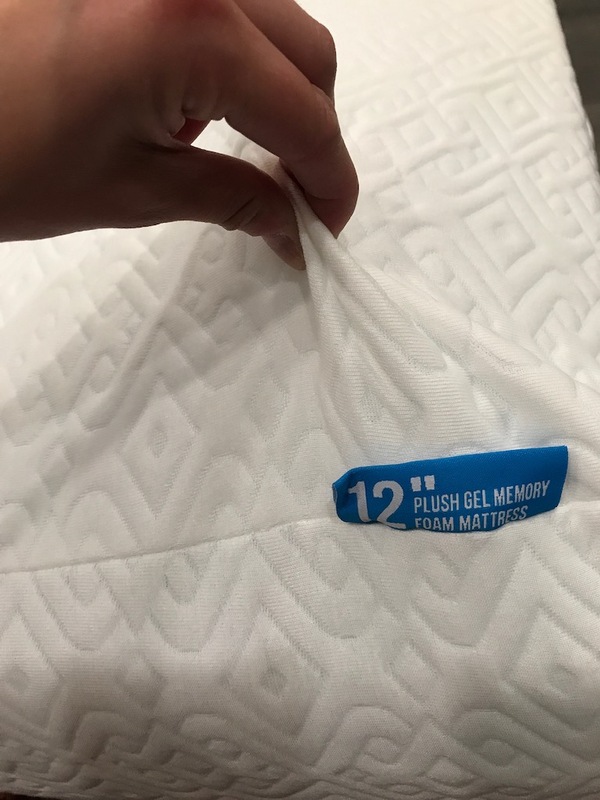 Will Lucid’s 12’ Plush Gel Memory Foam Mattress have a chemical smell when taken out of the box? Most mattresses have an odor to them when you unroll and remove the vacuum sealed plastic. This chemical type smell is called off-gassing. Off gassing is not harmful nor toxic in any way. As your mattress breathes, the off-gassing smell will fade. Lucid’s off gassing was not very strong and quickly faded. What Type of Return Policy and Warranty Does Lucid Offer? Lucid ships free and has a 30 day return policy. 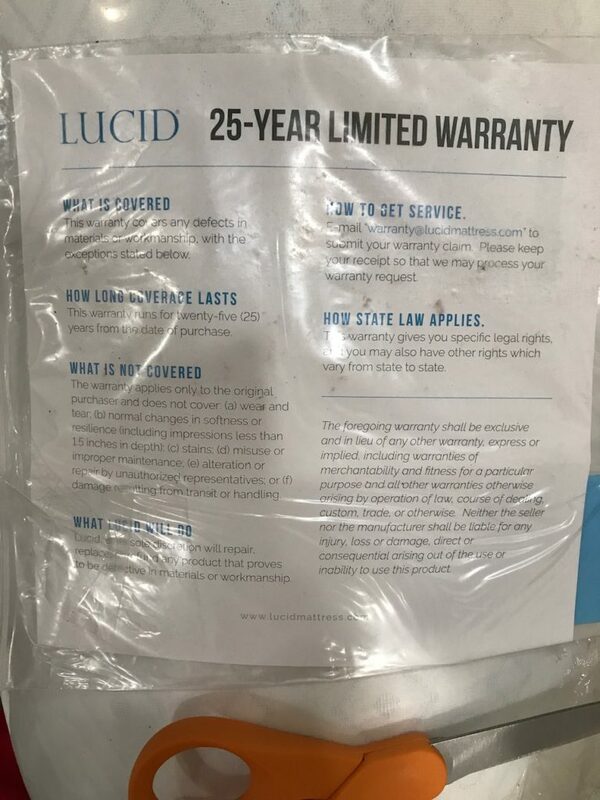 Lucid has a 25 year warranty on manufacturer defects. 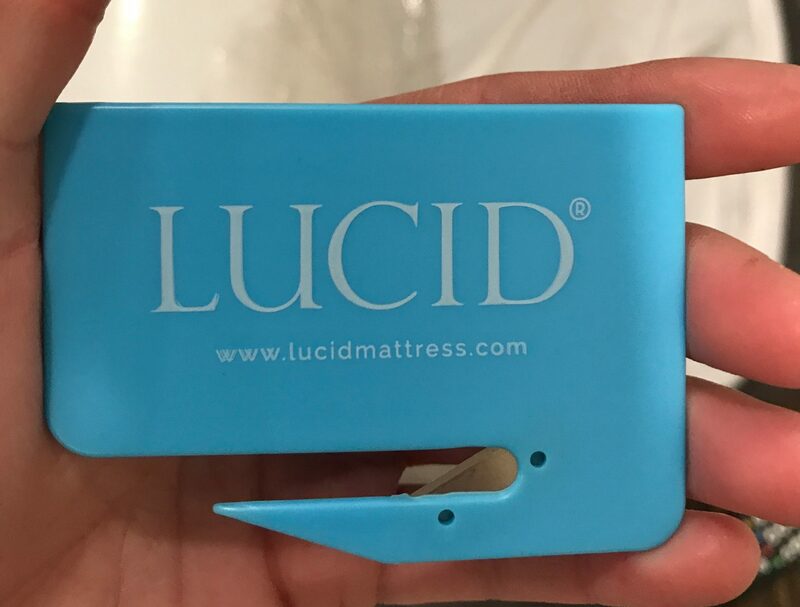 Is My Lucid Made of Safe Materials? Lucid is made from high quality materials that are Certipur-US Certified so you and the environment are safe from any harmful toxins. How much does Lucid cost?